We have updated our guide to The Spirit Kings to include the Heroic mode version of the fight. This fight is not changed very much, but this Heroic mode is quite difficult and unforgiving. 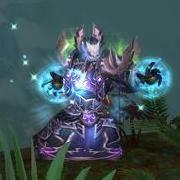 We will update our remaining Mogu'shan Vaults boss guides for Heroic mode over the next couple of days, and you can also expect several new Heroic guides for Heart of Fear. Also note that a recent hotfix has supposedly made the order in which The Spirit Kings activate be fixed instead of random (always Qiang > Subetai > Zian > Meng), and we will update the guide as soon as we have confirmation of this fact.